Lost in the moment, lost in each other’s gaze, time stands still. Hand in hand, your eternal love story continues amidst the whisperings of an age-old river. A solitary journey no more, life’s adventures await with your best friend by your side. An unforgettable celebration of love, we help you plan your special day right to the very last detail. We treat each wedding at Mahaweli Reach Hotel with individual care and can customise your event just the way you want it, be it at our stylish banquet hall or outdoors, right by a magical riverside setting. 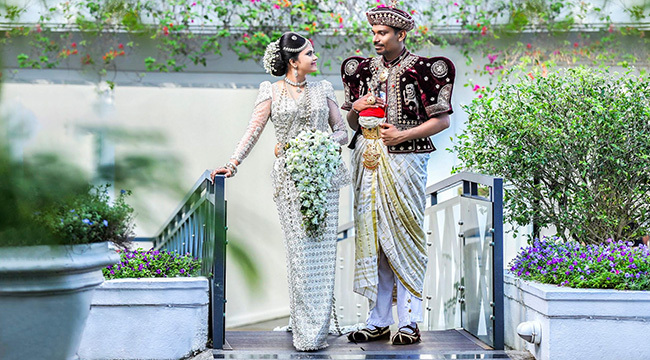 Be it stylishly decorated Kandy wedding hotels, idyllic riverside garden backdrops, traditional ceremonies or distinctive decor, each provides its own romantic charm. We give you the option of organising a traditional Sri Lankan ceremony inclusive of time-honoured rituals and unique decor. We can also organise destination weddings with Kandyan, Indian or Western style celebrations, each featuring its own distinct themes and catering options.